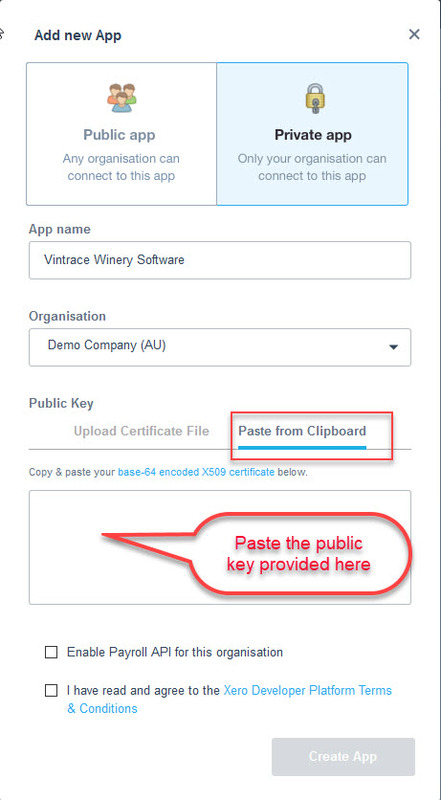 You will first need to get someone with access to Xero within your winery to follow these steps. 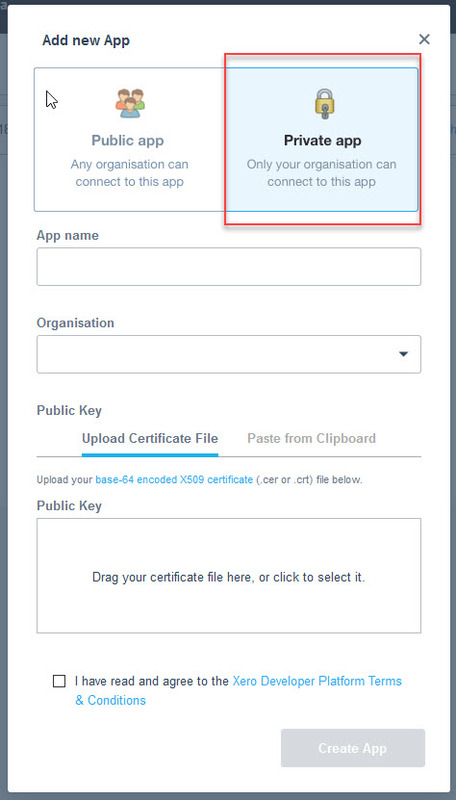 Go to the URL https://api.xero.com/Application/Add and then login with your Xero credentials. You will be presented with a screen that looks very similar to the below. Click on New App. 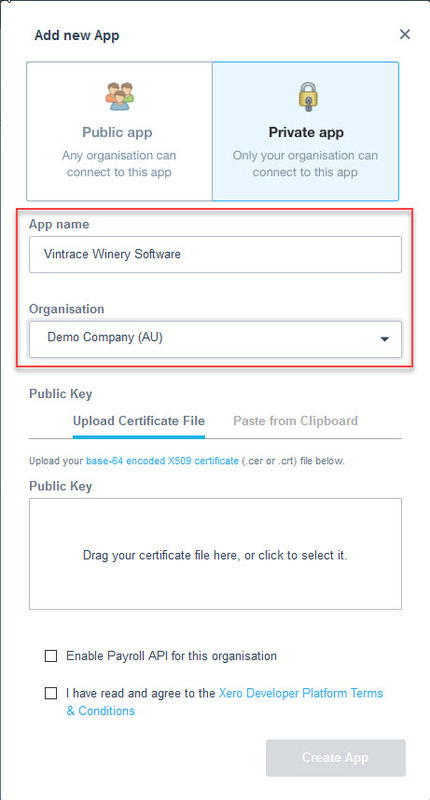 Enter vintrace Winery Software as the App name and then select your Xero database instance. You will then be presented with new OAuth credentials. 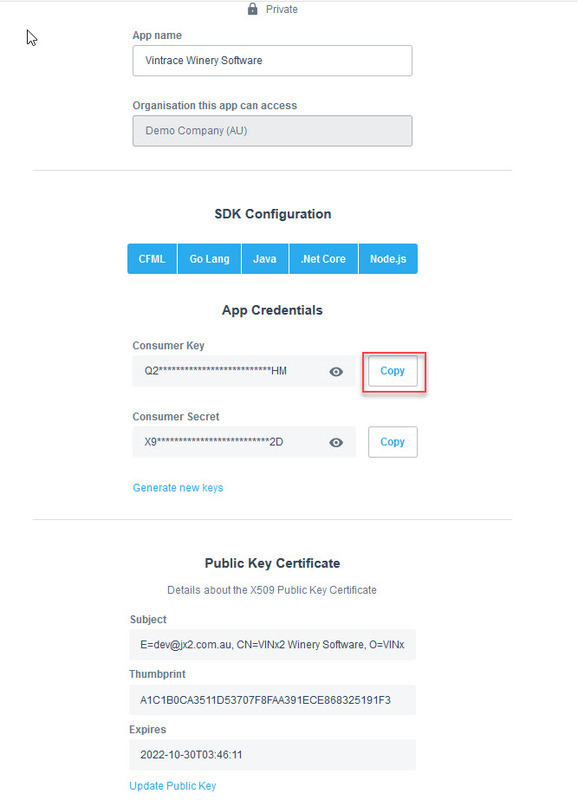 Copy the Consumer Key by clicking on the Copy. 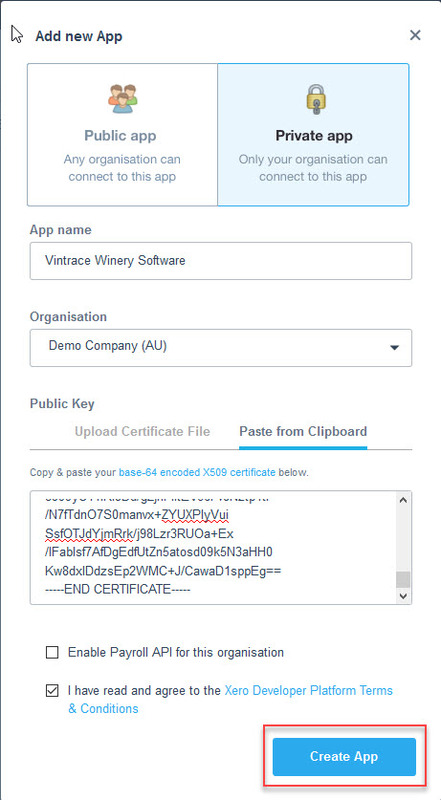 You will need the Consumer Key to configure and test the connection in vintrace. 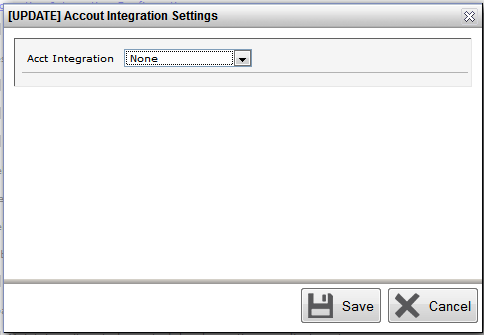 From the Winery Setup, click General > System Policy and under the General Settings click on Accounting Integration Configuration. 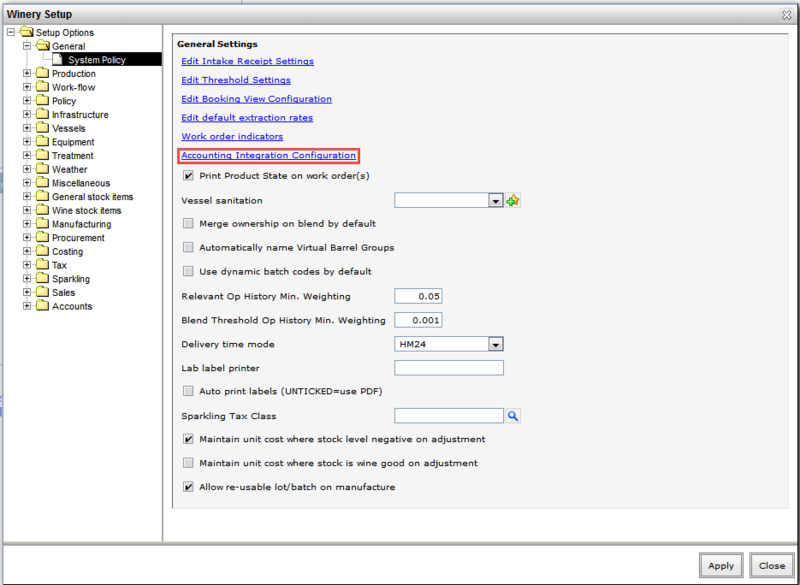 Click the drop down and select your Accounting Package. 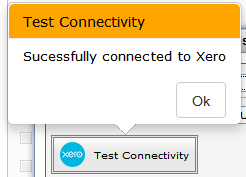 From there you should have fields appear below the drop down, along with a test connection button. Most should also have an info ( i ) button that will link you to a page detailing how to configure that specific accounting package. Follow the guide and then test connectivity. Success! 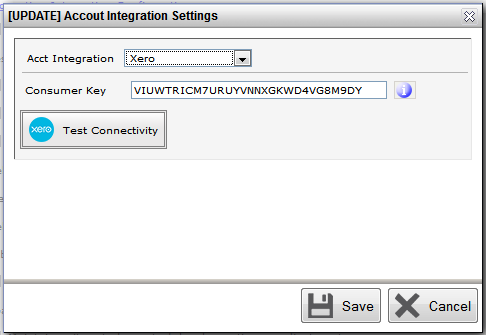 Now click Ok and then save your settings and begin using your Accounting Integration with vintrace.